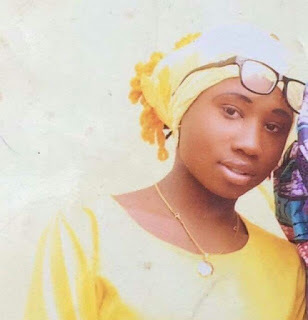 The Christian Association of Nigeria (CAN) in Ondo State has asked President Muhammadu Buhari to ensure the release of Liya Sharibu, the only Christian girl among the Kidnapped Dapchi girls. CAN described the silence of the President on Sharibu who is still with the Boko Haram insurgents as sad and worrisome. In a Press Statement made available to DAILY POST in Akure, the State capital, CAN Chairman in the state, Rev. Ayo Oladapo accused President Buhari of planning to crush out Christianity in the country. The Christian body queried President Buhari if it is a crime to be a Christian in Nigeria. “They claim that they were not aware that the girls were Muslims, hence, they need to return them because they are Muslims When did it become a crime for a person to become a Christian in Nigeria? “According to the girls, they were release because they were Muslims. Is it a crime to become a Christian in Nigeria? President Buhari should tell the whole world ” CAN said. The Religion body charged Vice President, Yemi Osinbanjo not to keep quiet as a Christian in government. It asked Christians across the nation to mobilize prayer for the release of Sharibu to rejoin with the parents unharmed.